Shane Shirley : Sure I Buy Green...but Only When People Are Watching and Um...am I Supposed to Green Myself? Sure I Buy Green...but Only When People Are Watching and Um...am I Supposed to Green Myself? "Even in this recession, four out of five consumers actively target “green” products, even if they are more expensive. 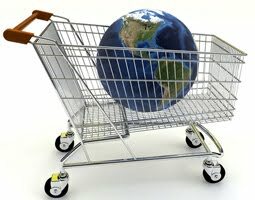 Exactly why they care is still open to debate—a recent study at the University of Minnesota showed that people are more likely to buy Eco-conscious goods in public rather than online, suggesting that buying green may be a way of exerting status." When I read this little blurb in an article recently it was one of those things that made me go hmmm. Can it really be true that people only make green consumer choices so they can brag to their friends about how much they "care" about our environment? When you think about sustainability and the green movement, it may be easy to forget about yourself and to get caught up in the hype. The greening of America, and the rest of the world, has taken on a great momentum that is reaching even the most surprising of people and businesses, but has the message to green and cherish yourself reached you? Living green is not just about making a commitment to use and buy green products for the environment around you, it is also about doing all you can to live a life free of illness, full of vitality and longevity. If you are taking part in the green movememnt to only impress your friends or alleviate some sort of guilt, you are missing a critical component of going green. Going green is not only about protecting and developing our collective environmental sustainability, it is also about protecting and developing our collective and personal sustainability. How do you fit into the green living equation? Is going green a real part of your life or is it just pop culture for you? Are you willing to pay more for green living items for yourself, exercise and eat right or are you too caught up in looking like you are saving the world to save yourself? If you are serious about going green then you must get serious about the consumer and lifestyle choices you make not only for our planet but for yourself as well...when people are watching and when nobody around you gives a sh@t.
Make serious, green choices (as much as you can) for our world, but please don't forget about turning yourself green.